We live in a fast-paced world where we are pestered from all sides with siren calls to constantly strive for something more, something better, something new, rather than find ways to stay grateful for the abundance and blessings already present in our own lives. In Crafting Gratitude, Rev. Maggie Oman Shannon believes that crafting for us and those we love can be used as a meditative practice to appreciate the incredible, overflowing richness of life. Each meditative craft, from novice to expert, is infused with stories like how Gratitude Bundles can represent prosperity and physical health, Spirit Houses from Southeast Asia can be a symbol of a happy home, a Values Bracelet can help you reinforce your best professional traits, or Flower Mandalas can be an affirmation of nature. With other crafts involving aromatherapy, journaling, dream catchers, and a variety of household items, anyone can invigorate their own lives with Crafting Gratitude for family, health, prosperity, the Divine, and much more. 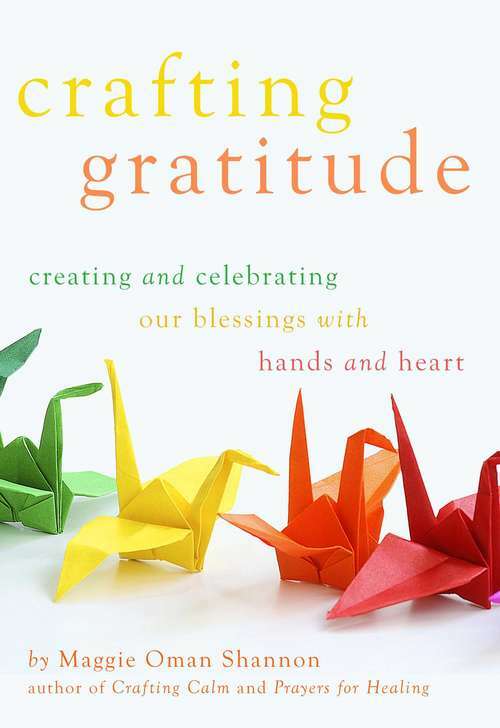 Accompanied by a carefully curated list of recommended reading, helpful websites, and how-to guides, these forty practices will resonate with and prompt you to begin, or continue, exploring gratitude.